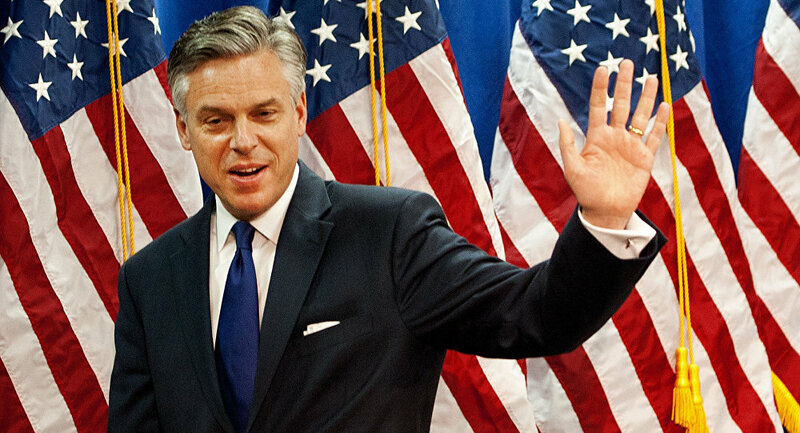 Anonymous officials speaking to US media have confirmed that former Utah governor and Obama-era ambassador to China Jon Huntsman has accepted President Trump's offer to serve as ambassador to Russia, pending confirmation hearings. Speaking to Radio Sputnik, Russian politics specialist Dr. Yoshiko M. Herrera explained why Huntsman is a good choice. On Wednesday, US media reported that Huntsman, 56, who served as US ambassador to Singapore between 1992 and 1993, as governor of Utah between 2005 and 2009, and ambassador to China from 2009-2011, had accepted Trump's offer for the Russia post. Described as a moderate Republican, Huntsman will now face Senate confirmation hearings. 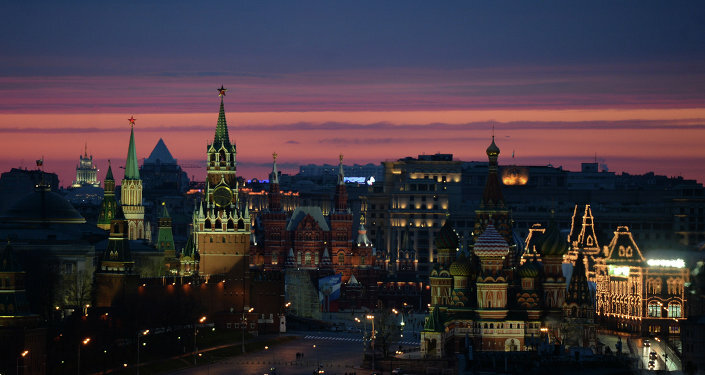 If confirmed, the official will become the face of US diplomacy in Moscow at a moment of strained Russian-US relations. Asked to offer her views on the appointment, Dr. Yoshiko M. Herrera, a professor of political science at the University of Wisconsin-Madison, gave Radio Sputnik a rundown on some of the reasons why overall, Huntsman is a good appointment. For starters, Herrera recalled that in his past work, from his ambassadorships in Singapore and China to his role as governor of Utah, where he served out two terms, Huntsman has both "a long track record of management in large, complicated organizations, as well as a string of successful outcomes, and approval and support by those who he worked with." In other words, the expert noted, "all signs suggest that he was very competent and a very qualified candidate." Asked to comment on Huntsman's disagreements with Trump on certain issues, which became clear during last year's presidential campaign, and the one which preceded it, the professor suggested that it's best to take a non-ideological approach to the effective functioning of government. "You could say that [these differences] present some danger, because other countries could get mixed signals about US intentions," Herrera noted. "On the other hand, I think [many] people think it's better to fill appointments with competent, experienced appointees that have good judgment, such as Huntsman, rather than looking for ideological coherence within the administration." A number of other Trump appointees have voiced their disagreement with the president on a number of other issues, and that hasn't stopped Trump from appointing them, she added. Asked whether Huntsman's current position as chair of the Atlantic Council, a Washington-based think tank with a firmly anti-Russian position many issues, may affect his frame of reference, or hinder Trump's stated intentions to improve Russia-US ties, Herrera suggested that the ability to work productively in spite of differences, not agreement on every issue, is what's most important. "I think that for people who have worked in US-Russian relations and studied the matter over the last few years, there is widespread recognition, both in Russia and the United States, that the two countries disagree on some serious issues," the professor explained. "There's no getting away from these difficulties; we can't just say we want better US-Russian relations, and pretend we don't actually have disagreements on Ukraine, or on NATO, or Syria." And while "there are other areas where there are a lot of opportunities for cooperation – such as countering extremist violence…there are actual conflicts of interest and disagreements, and so I think the ability to understand the importance of Russia as a country, the importance of US-Russian ties, and the need to work productively between the two countries despite differences, is what's important," Herrera stressed. In other words, the expert noted that she doesn't think that "the fact that Huntsman's been at the Atlantic Council, or that he has a particular world view, is that important. It's not an ideological question – it's a question of confronting actual challenges and figuring out ways to nevertheless work together where we can." Ultimately, Herrera emphasized that Huntsman's main qualification is his experience: "I think he would bring experience in an important overseas post…I think it's important to have diplomatic experience, and to be diplomatic. It's important to be able to communicate effectively, to work with a large staff, and manage a complex operation. I think he would bring that. And I think he would bring good judgment." Furthermore, Huntsman is "somebody that actually has bipartisan support. I would be surprised if he's not confirmed unanimously, given his past record of confirmations in the Senate." Huntsman, according to Herrera, "is a moderate, reasonable voice, and that's important [for a] pragmatic approach to US-Russian relations at this time…For this administration, this is one of the better choices that President Trump could have made."